Viki is a global video site with TV shows, movies and other premium content from around the world, subtitled into more than 150 languages by a volunteer community of fans just like you. 10/26/13--11:48: Our Favorite Spooky Dramas! It’s almost time for Halloween and to set the right mood for the upcoming holiday, we’ve created a list of our favorite spooky dramas that are full of witches, vampires and ghosts! Grab a couple of friends, some popcorn and get ready to hide under the covers! When two police officers team up and one reveals that she can see ghosts, what happens next? Watch as this unlikely pair helps ghosts come to terms with their past! When an employee has the ability to see ghosts after getting into a bad accident, will her boss be able to save her from her scary world of communicating with ghosts? The sequel to the hit series, “Vampire Prosecutor,” Min Tae Yeon is back as he tries to solve unsolved murder cases! Watch the girls of the popular J-pop group, Dempagumi.inc., attend the White Witch Academy in this school tale about witches, magic and adventure! In this Colombian telenovela, Amanda Mora, a young woman with a fascination with witchcraft, crosses paths with a ruthless businessman named Jamie Cruz! Watch as power and corruption unfold in this intense drama! Know of another spooky show we should add to our list? Or have a favorite Halloween tradition you’d like to tell us about? Let us know in the comments below! 10/28/13--20:00: Go to the Korean Music Wave in Singapore with Viki Discounted Tickets! Thank you for all of your submissions; the ticket giveaway is now closed. Learn how you can get discounted tickets below! Hi Viki fans, thank you for participating in our ticket giveaway. Winners will be contacted via direct message, so do check your inbox soon. For those who didn't win this time round, don't worry, because we have an exclusive promotional discount just for Viki users! Just go to https://www.singtic.com, enter the code "VIKIPROMO", and get 20% off tickets! This promotion ends 7th November 2013 so grab your tickets now if you haven't! Are you hoping to attend the MBC Korean Music Wave Singapore 2013 concert — featuring the hottest lineup of K-pop superstars sharing the same stage — but haven’t been able to secure tickets? Here is your chance to win tickets to what is expected to be the largest K-pop live music event ever held in Singapore! The unforgettable event, which will be held at 7 p.m. on November 16, 2013, at The Meadow in Gardens by the Bay park in central Singapore, will feature performances will include SHINee, EXO, 2PM, 2AM, FT Island, B1A4, Teen Top, B.A.P, KARA, Sistar, Miss A, IU, 4minute, as well as other exciting superstar surprises! Viki is giving away 8 Regular Concert Tickets + 4 Rehearsal Passes + 2 Press Conference Passes. Answer the following question: In less than 2 sentences, tell us why you should win the tickets to the Korean Music Wave Singapore 2013. Post your answer as a comment on this blog with their Viki username. We will accept entries for this giveaway from October 16 to October 23, 2013. For more details about the event, visit the MBC Korean Music Wave site. Enter for your chance to win free tickets today, and good luck! 11/01/13--03:00: Celebrate These November K-Pop Birthdays! Can you believe that it’s already November? Where did the time go? Miryo is the rapper for the popular girl group Brown Eyed Girls and currently holds the record as the female artist with the most copyrighted songs to date! 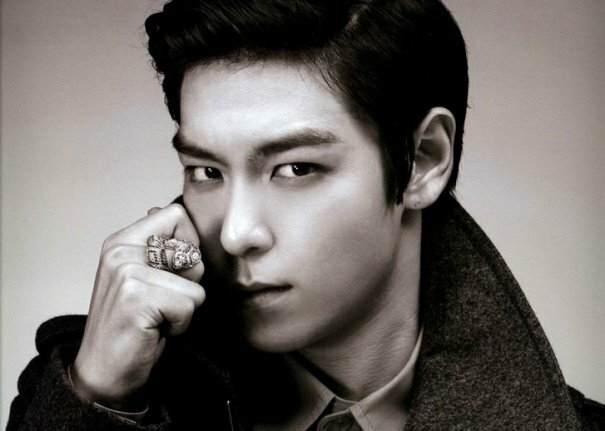 T.O.P is a rapper for the very successful Korean hip-hop group BIGBANG. Check him out in some of our favorite dramas, including “I Am Sam” and “IRIS”! Or check out his solo career with his best known song, “TURN IT UP”! BoA is a popular singer who recently starred in the drama “Hope for Dating.” Check out Episode 1 now! Kris is the leader and rapper of EXO-M, with popular breakdowns in the songs “MAMA”and “Wolf.” Check out his special shout-out to Viki fans! With ZE:A’s recent hits, such as “The Ghost of Wind,” and his recent activity in the much-anticipated new drama “Heirs: He Who Wears the Crown Must Bear Its Weight,” Hyung Sik is quickly becoming one of the most popular idols around! TEEN TOP has been rocking the charts lately with catchy new songs like “Rocking,” and the “Mischievous Rapper” is no doubt one of the reasons why! 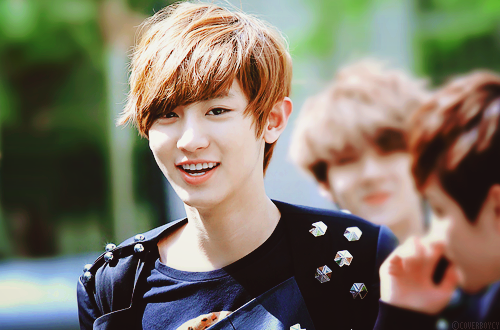 EXO-K’s lead rapper, Chan Yeol, is known for his interest in playing many different instruments and his super positive attitude! Check him out in all of our favorite EXO videos! Know of an idol with a November birthday that we missed? Let us know and tell us how you’d celebrate a birthday with them! November brings rain, cold and wind in many countries around the world. But a growing initiative is helping men stay warm in the fast-approaching winter. Movember is here! Movember is an men’s health awareness campaign that started in Australia 10 years ago and has since grown (pun intended) into an international movement. By encouraging men to put away their razors and grow a “mo” (mustache or beard) this month, men around the globe hope to raise awareness and money for prostate and testicular cancers and mental health issues. Taking part is incredibly easy. Men, to take part, you simply let your facial hear grow in November. And, ladies: encourage the men in your lives to get involved. Need inspiration to grow and groom your mustache (or beard)? Look no further than some great dramas from this year. Gao Godfrey plays the hilarious Xu Fei in the Chinese Web drama “Never Give Up, Dodo.” His facial hair is a perfect fit for his character, not to mention the currently airing show is just in time for Movember! In the K-drama “Two Weeks,” we see get an awesome mustache on Jang Tae Sang (played by Lee Jun Ki) as he fights to stay alive and elude the authorities and some really bad gangsters. We love how the facial hair adds to his ninja/spy outfit. Kim Joon (played by Kim Nam Gil) in the K-drama “Shark” rocks this great mustache. We’re hoping he still has it even though the show has wrapped! Check out the mo of Enrique (played by Yoon Shi Yoon) from the K-drama “Flower Boy Next Door.” We think it goes well with his fun, energetic character! Participating in Movember? Share your photos with us through Facebook or Twitter! A woman can start out as your “BFF” (best friend forever), but what happens when that relationship ends up on the rocks? There is nothing more treacherous — or more fun to watch — than a woman who suddenly becomes your worst enemy. Here are three examples of female relationships gone awry from our favorite television dramas and anime on Viki. When new students arrive at the White Witch Academy in this 2013 Japanese drama series, the girls must put the pains of their past lives behind them to learn the art of witchcraft. The new class of girls bond over their shared challenges to develop their magical powers. But that closeness goes horribly wrong when they are faced with their last challenge: to turn against each other to become a White Witch. Who will be the last girl standing? In this Japanese anime series, Nanako attends a prestigious girls’ high school and is invited to join an exclusive “sorority” by her new friend, Mary. But Mary tries to drive a wedge between Nanako and her childhood best friend, Tomoko. Could Mary have something up her sleeve in intentionally causing problems between the best friends? Goo Ae Jung (played by Gong Hyo Jin) and Kang Se Ri (played by Yoo In Na) were in the same popular K-pop girl group that broke up years ago in this 2011 Korean drama series. The former friends are no longer on good terms over some unknown event that happened years ago. Se Ri, who is now the bigger star, wants to make sure that Ae Jung continues to live marginally as a has-been. Will Se Ri also steal away Ae Jung’s man? What is your favorite example of a female relationship that goes from good to bad? Let us know! The popular Korean R&B girl group Brown Eyed Girls has been making the news a lot this year. After Ga In’s appearance in Psy’s music video for “Gentleman” to the group’s latest comeback single, “Kill Bill,” the latest news is that Miryo and Narsha will debut as M&N, the all-new Brown Eyed Girls’ sub-unit! The new sub-unit released its first single, “Tonight” on November 11, which also happens to be Pepero Day (similar to Valentine’s Day) in Korea. The song, written by BEG’s JeA, was co-produced by Miryo and Narsha. “Tonight” is an urban hip hop track and is about a girl’s confession to a guy. We eagerly anticipate your thoughts on the new music video. What did you think of M&N’s debut single, “Tonight”? Add their channel to your list of favorites and be one of the first to watch M&N’s new videos on Viki! Love is in the air for Korean celebrities this year. A few months ago, we watched the blockbuster wedding ceremonies for Lee Byung Hun/Lee Min Jung and Ji Sung/Park Bo Young. It seems to now be in vogue for stars to tie the knot after meeting on the set of TV dramas and movies. This time, we celebrate the modest and low-key marriage of two talented musicians. Indie musician Jo Jung Chi proposed to his girlfriend of 11 years, R&B singer Jung In, while filming the final episode of the reality show, “We Got Married.” The real-life couple played virtual newlyweds as part of the show, performing such “married life” tasks as moving into a new home and entertaining dinner guests. Jung In and Jo Jung Chi have decided to forgo a traditional wedding. Two months later, the couple announced that there will be a marriage after all — but without a wedding. Jung In and Jo Jung Chi will complete the legal marriage registration, have a small get-together with family, and plan out their honeymoon. Congratulations from Viki to this kind and talented pair! 11/11/13--02:30: Coming to Europe: 5 On-Air and Upcoming K-Dramas! We’re excited to announce that the following five Korean dramas are now available to European viewers, in addition to viewers in the Americas. See the exciting stories that are now available for you to enjoy! A stoic and mysterious new housekeeper helps the Eun family recover from the tragedy of losing a mother. A decade after a man loses his first love, he falls in love with her younger sister only to face the intertwined tragedies of their two families that were caused by their parents. A mother and her two grown daughters deal with family, love and heartbreak in this family drama. This romantic comedy is about an alien who landed on Earth 400 years ago during the Chosun Dynasty and has lived four lifetimes. In modern-day Korea, the alien falls in love with an actress. Watch it next month! Song Mi Kyung is happily married to a successful businessman, until she finds out that her husband is having an affair. What is she plotting when she decides to lie low and get closer to the cheating couple? Click here for a list of 50 other K-dramas that also are available in Europe! Are you watching any of the on-air dramas? Which upcoming drama are you most looking forward to? Let us know! This year, Korean boy band Infinite went on its very first world tour, visiting all of its fans from Seoul to Jakarta, Indonesia; San Jose, California; and even London! Fans from all over the world prepared themselves for this very special concert, learning all the words to their favorite songs and even preparing presents for the band’s members! Of course, being fans of Infinite, we had to go and prepare ourselves for the concert as well! After that, we got ready to attend the concert with our friends! Viki’s Brittany and Stephanie with friends! At the concert, we were not disappointed! Infinite sang some fan favorites, including “Destiny,” “Love U Like U,” “Man in Love”and “Before the Dawn”! It was incredible to see the boys live, and their passion and joy of meeting with their fans truly showed in their performance! There was plenty of “aegyo” (making cute faces) and fan interaction — Woohyun even gave a rose to one very lucky fan! L sings to his adoring fans! Sungyeol and Dongwoo perform during the finale! Overall, the concert was amazing, and we absolutely cannot wait for the boys to go on another world tour and visit us! Infinite, fighting! Special thanks to our friends at 24-7 KPOP for all the wonderful photos of the concert! 11/15/13--03:30: Let’s Cook With Viki: Bubble Milk Tea! In celebration of our new Taiwanese dramas, “Love Family”and “Deja Vu,” we decided that this week’s edition of Let’s Cook With Viki would star one of our favorite Taiwanese drinks — Bubble Milk Tea (Boba)! Bubble milk tea, also known as pearl milk tea, tapioca milk tea, and boba tea, is a popular drink across Asia and has even found its way into the United States, Canada and Australia! The little “bubbles” at the bottom of the glass are sweet gummy pearls that add a fun element to any drink! Ready to make some bubble milk tea? Then let’s grab our ingredients! Ready to go? Remember to wash your hands and clean your workspace! * Note: Since extra-large tea strainers are something most of us don’t own, I chose to place the leaves in a metal fine-mesh strainer which I sat on top of the boiling water, this keeps us from having to strain the leaves out later! Next, we poured one can of sweetened condensed milk into the tea (after the leaves are removed) and stirred until this was well blended. While we waited for our tea to cool, we took our quick-cook tapioca pearls and added them to another pot of boiling water. Once the pearls turned soft and dark in color, we added three teaspoons of brown sugar and mixed well. Then, we drained the pearls and rinsed them with cold water! Be sure to use a large pot or risk having the pearls spill over while boiling! Once the tea is cool, add your pearls to your drink, top it off with a “boba” straw and serve! If you’re not using the “quick-cook” or “five-minute” tapioca pearls, be sure to read the package instructions for how to cook the pearls, since you may need to boil them twice before you can enjoy! Pearls can’t be made too far ahead of time. If you have them sit in a refrigerated container overnight, they will congeal and become a gummy clump. It’s best to only make enough for immediate consumption instead of making too many and trying to reserve some for later! So, how’d your version of bubble milk tea turn out? Know another dish we could make? Let us know in the comments below! Mario’s fans claim that he’s the hottest man in Thailand. His handsome features often invite comparisons to Thai K-pop star Nichkhun Horvejkul! Who do you think is better looking? Who’s hotter: 2PM’s Nichkhun or Mario Maurer? Now, head over to Viki to watch the movie, available to viewers worldwide! Don’t forget to tell us how you like it! 11/19/13--11:41: Community Stories: Sonia from France! Viki has an amazing global community, full of countless stories that deserve to be shared. Here is one such story about an avid Viki user and contributor. For Sonia, a 39-year-old mother of four living in Paron, a commune in the Burgundy region of France. Viki has been her crutch and lifeline for the past four years. Diagnosed with breast cancer 10 years ago, Sonia said she was looking online for Asian dramas and movies to help take her mind off her grueling treatment regimen. She came upon Viki by chance four years ago, and the rest, as they say, is history. Viki has become an important part of her daily life ever since, helping her to experience “normal,” uplifting interactions with people who don’t know about her illness. When she’s not busy working as a sports educator, tending to her husband of 22 years, or being a mother to her four children (ages 21, 19, 15 and 10), Sonia says she, on average, spends several hours a day on Viki and has been a Qualified Contributor for the past two years. Read her amazing story below. Which activities do you do often on Viki? How did you discover Viki? I found Viki by chance four years ago. When I was going through cancer, I looked for Asian dramas and movies to get my mind off my cancer and preoccupy my mind during the difficult treatments. Since then, Viki has been an important part of my life. What do you like most about Viki? During my various hospitalizations [for breast cancer treatment], I would sometimes be in total isolation with only my PC and Internet access to keep me company. Being on Viki to track dramas that I like and participate in various projects, the days always marched very quickly. I did not have time to think about anything else. Psychological pain became nonexistent. Being able to communicate with others without revealing my illness was really liberating for me. I was able to connect with many people through the various projects, and share many exchanges where we talked about everything and nothing — giving the impression that I was just a normal person. So Viki has been a major support for me and continues to be. Viki also has removed language barriers. I love the diversity of the shows offered on Viki. It helps people discover what exists in other countries and allows others to discover what exists in France. I’ve also met a lot of wonderful people through Viki, and I hope to meet many more. Has Viki helped you to learn or practice another language? Absolutely! For me and for my daughters, Viki has been the best English teacher. My daughters have made enormous progress in English and Spanish. Have you made friends in the Viki community? Yes, I have made friends. How? When working on the same projects, you connect with other people. We realize that we have the same tastes. We end up meeting each other. And sometimes, you end up meeting in person. What’s your favorite genre on Viki? What’s your favorite drama that you’re watching right now? The last drama that I watched recently, just as the viewer, was three seasons of “God’s Quiz.” @Kobolt recommended it to me, so I started watching it and I loved the concept and the script. I think that to treat the subject of rare diseases through each episode changed many other police and medical dramas. And I discovered the actor Ryu Deok Hwan, whom I think was made for this role. But I also loved “Gu Family Book” just because of Lee Seung Gi and Choi Jin Hyuk! 11/20/13--09:55: Get Ready for a Major Music-Filled Weekend! For all of you K-pop fans out there, you are in for an exciting Hallyu weekend! Kickstarting it is the annual Mnet Asian Music Awards (MAMA), which will be held November 22 in Hong Kong for the second consecutive year. Don’t forget to tune in and root for your favorite artists during this major K-pop awards ceremony! Expect more awesome dance moves from Girls’ Day(nominee for Best Dance Performance —Female). You’ll also be able to enjoy Lyn’s beautiful vocals (nominee for Best Vocal Performance — Female), which will melt your heart. Catch more music videos (licensed worldwide) from K-pop’s best acts, such as IU, Ailee, EXO, TEEN TOP, 4minute, B2ST, K.Will, Davichi and Geeks on Viki as we countdown to the MAMA Awards 2013! Can’t get enough of those addictive K-pop tunes? You’re in for a treat with the entertainment show “SBS Inki Gayo”! You’ll be able to enjoy Korea’s latest hits and watch the countdown to the chart topper of the week. Get blown away by the elaborate stage props, impressive choreography and songs that will get you hooked! If you want a little variety in your K-pop, then sit back and fill your music weekend with these great new shows offered on Viki! This series follows our five favorite ladies from the girl group Kara behind the scenes as they prepare for their comeback, filming music videos and more. Kamelias also can expect to catch some exclusive one-on-one episodes with Kara members. Hosted by Kang Ho Dong, this outdoor survival-type show pushes celebrities out of their comfort zones and challenges them to adapt to the different lifestyles and challenges. Recent episodes have featured popular K-pop favorites like SHINee, Infinite and Sistar. This popular variety show challenges participants to complete tough missions and win races to emerge victorious. Featuring hot celebrities like Suzy, EXO and Big Bang on recent episodes, this show promises nothing short of excitement. As we count down the days to this exciting K-pop music weekend, get ready for some Hallyu goodness! Certain shows are available only in the Americas. IU’s character in “Beautiful Man” is a very ordinary girl named Kim Bo Tong. In addition to being a strange-sounding girl’s name, “Bo Tong” literally means “average” in Korean! IU has acted in past dramas such as “Dream High,” and we’re excited to see her take on another cute, underdog role alongside the beautiful man himself, Jang Geun Suk. “Prime Minister and I” is not Yoona’s first drama, either. She co-starred in the romantic melodrama, “Love Rain” with Jang Geun Suk. Yoona will shed her sleek idol image for the role, sporting a combination of curly hair and baggy clothes. “Miss Korea” stars the beautiful Lee Yeon Hee and premieres on December 18. The lovely actress is not a K-pop idol, but here’s a fun fact: Lee Yeon Hee was an S.M. trainee who almost debuted as part of Girls’ Generation! She chose to pursue her acting career instead. Which K-pop singer are you looking forward to seeing on Viki this winter? Let us know! 11/25/13--16:19: Enter to Win Signed Photo of a Star of ‘Never Give Up, Dodo’! Are you a fan of the hilarious Chinese web series “Never Give Up, Dodo”? Then get ready, because you now have the chance to win one of 24 autographed photos of Godfrey Gao, Yin Hang, Mike Sui, Sunny Wang, or Peter Ho from “Le Jun Kai” through our photo caption contest! Win a signed photo from one of the stars of "Never Give Up, Dodo!" For fun, submit the photo with your caption written on it on Twitter or Instagram and tag @Viki and add #Viki. You can submit an entry from now until December 21st. Viki staff will choose 24 winners and contact them via Private Message on Viki on December 22nd. If you’re one of the lucky winners, you can tell us which autographed photo you prefer, but we can’t guarantee that you will get the photo that you ask for. We look forward to seeing all your funny and creative captions! Caption this picture from 'Never Give Up, Dodo' for a chance to win an autographed photo! If you haven’t already, check out “Never Give Up, Dodo”! This 10-episode series is a raunchy romantic comedy about a couple, Dodo and Xu Fei, who decide to get married but face many obstacles to happiness. Stay tuned for the announcement of winners of the contest on our blog! 11/27/13--08:00: 'Inspiring Age,' Kim Hyun Joong's New Drama to Air Exclusively on Viki! We're super excited to announce that Inspiring Age, starring global superstar Kim Hyun Joong of Boys Over Flowers and Playful Kiss fame, will be available worldwide on Viki (outside Korea and Japan) starting in January! Viewers in America and Europe will be able to watch exclusively on Viki. Cast members including Kim Hyun Joong attend the first script reading for Inspiring Age. One of the most highly-anticipated global dramas of 2014, Inspiring Age is an action-packed story about friendship, love, and the Korean struggle for independence. It also stars two familiar young actresses: Im Soo Hyang (I Do, I Do) and Jin Se Yeon (Bridal Mask). Be sure to favorite the Inspiring Age channel here, so you can receive updates when episodes and trailers are released in January. If you haven't already, you should upgrade your account to Viki Pass to enjoy the drama without ads and in HD! Inspiring Age is being filmed in Korea, Japan and China, making for a powerful international production. Kim Hyun Joong will play Shin Jung Tae, a master fighter who protects his countrymen from the Japanese invasion. Im Soo Hyang's character will be ambitious and charismatic enough to match wits with the hero. After his entertaining performances in top K-Dramas, Boys Over Flowers and Playful Kiss, we look forward to seeing Kim Hyun Joong's on-screen chemistry with his leading lady. What are you most excited to see in January's premiere of Inspiring Age? Let us know in the comments! For many this week is the celebration of Thanksgiving, a time to enjoy great food and traditions with family and friends. So as you prepare to enjoy the holiday, here are some of our favorite things we're thankful for! Nikki Hsieh from Taiwanese Drama 'Princess Stand In' is thankful for food, and so are we! Love to eat? Check out our Let's Cook with Viki series and learn how to make foods from your favorite shows! Need some good dramas to watch this holiday? Check out 'Love Family', 'Rebel Angel', and 'Basketball'. Nicknamed the “Brown Eyed Boys” before their official debut, the Korean boy band LC9, which is short for League of Competition #9, was said to be the male version of its labelmate, the popular girl group Brown Eyed Girls. Consisting of six members with diverse talents, there’s no doubt that LC9 can definitely rock the stage. If you missed it, here’s the fierce-yet-addictive debut track of LC9, “MaMa Beat”! This futuristic music video had attained a 19+ rating due to some violent scenes. Interested to know what is behind LC9’s charismatic image on stage? Well, you’re in for a treat! LC9’s first reality show, “LC9’s Life of Research,” is here to satisfy your curiosity! Check out the group’s shout-out for its first reality show, exclusively for Viki fans! Explore different places with the six boys – J-Hyo (Kim Jong Hyo), RASA (Park Geon Woo), King (Dong Woo Seok), AO (Kang Hyeon Soo), Jun (Park Jun Hyeong) and E.Den (Carlos Jaedyn Park) – as they challenge themselves to track through haunted places, come up with solutions to tricky situations, and provide an exclusive tour into their practice rooms! To the Love Beats in Singapore here’s some good news for you! The rookie group will be dropping by the sunny island for a single-night appearance that will feature special stages for its performances from its mini-album and up-close interactions with your favorite member! Be sure to catch them on 30th November 2013 at TAB Orchard. For the Indonesian Love Beats, LC9 will be having a joint concert with labelmate, Lunafly on January 19th 2014, don't miss out on that! Want to find out more about the group? Favorite the “LC9’s Life of Research”channel and be the first to know when new episodes are added! The end of the year is fast approaching, and you know what that means! For many of us, it’s the time of year that forces us to enjoy lots of “together time” with our loved ones and extended family and friends, whether we want to or not! So if you and your family celebrate the upcoming holiday season — whether it’s Thanksgiving, Christmas, Hanukkah, Kwanzaa, St. Nicholas Day, Bodhi Day, Eid-al-Adha, Los Posadas, Boxing Day, or the New Year — we recommend that you get into the right holiday spirit by watching the following dramas on Viki. Do you want to feel thankful for your family and your many blessing this year? Do you want to know that you’re not the only one who has to deal with crazy family members? Do you want the courage to find new love, a long-lost love or family you never knew you had? We have the drama for you! Just You — In this Taiwanese drama, Qi Yi (played by Aaron Yan) is abandoned at a young age by his mother. The sense of abandonment affects his entire outlook on life, and he grows up desperately craving motherly affection. The Tragedy of W — Similarly in this Japanese drama, twin sisters are forsaken by their families and raised in very different circumstances. Satsuki is abandoned by her own grandfather and grows up in poverty, working as a cleaning lady in a nightclub. Mako (both characters played by Emi Takei) grows up in a wealthy family but is desperate to escape it to pursue her own dreams. Only You — In this Philippine drama, two sisters are separated in childhood when their father abandons their mother and goes to live with another woman. Nea (played by Claudine Barretto) is left behind with their mother while Jasmine (played by Bea Alonzo) goes to live with their father and new stepmother. Nea grows up with nothing while Jasmine grows up enduring cruel mistreatment from her stepmother. Trapped — In this Venezuelan telenovela, a woman not only frames her best friend for murder and takes over her life, but she also sends away her friend’s daughters, Diana (played by Alejandra Lazcano) and Gaby (played by Mariana Torres), to be raised by some old woman. While these dramas deal with pain and loneliness, the endings will have you believing in family again! Keeping Up With the Kardashians Season 4 — No other family can make your family look absolutely normal than the Kardashians, an American family that is famous for just being famous. Watch the fourth season of this reality series that chronicles the over-the-top lives of matriarch Kris, husband Bruce Jenner (former Olympic champion), and siblings Kourtney, Kim, Khloe and Rob. Get Married 3 — In this Indonesian drama, Mae (played by Nirina Zubir), who comes from a poor background, was always made to feel like she wasn’t good enough for Rendy’s (played by Fedi Nuril) well-to-do family. When they couldn’t stop their marriage, Mae’s in-laws find new ways to torment her in her married life, although she’s already crazed out of her mind trying to deal with her new triplets! In comparison to these families, yours will seem very tame! Love Family — Sheng Ren (played by Chris Wang) doesn’t grow up with much love and affection from his family in this Taiwanese drama. And his mother is forcing him to marry before he reaches 30, whether or not he’s ready for marriage. But when he arrives at an inn called the Happy House and sees the love and support of the Xu family, he begins to realize what family is really about. Made in Cartagena —In this Colombian telenovela, there’s nothing the characters won’t do for their beloved family members. Harvey (played by Fernando Solorzano) will go to the ends of the earth to make someone pay for killing his beloved son. Flora (played by Villalobos), his niece, will risk her life to help him and do much more to try to get her brother out of jail. Heaven’s Garden — In this Korean drama, Jae In (played by Yoo Ho Jeong) goes against her family’s wishes and marries a divorced man with a daughter, and her father disowns her. Years later, when her husband is imprisoned after his business goes bankrupt and then she finds out that he has been cheating on her, the only place that Jae In can turn to is her family members, who will take her back and allow her to put her life back together. We hope these dramas will make you feel warm and fuzzy about your own family and give you the courage to survive this holiday season. If there’s a go-to drama that you like to turn to during the holidays, let us know what it is and why! 12/02/13--03:00: Celebrate December Star Birthdays! Can you believe it? We’ve reached the end of 2013! It’s time for Christmas, Chanukkah, Kwanzaa, New Year’s, and of course, birthdays! No matter what you celebrate during this holiday season, there’s always time to celebrate the birthday of some of our favorite K-pop idols! Actress in "Trapped" (Venevision) starring as "Gabriela "Gaby" Garcés Soriano", sister of Diana Soriano. Kim Yewon, one of the main vocalists of girl group Jewelry, also has appeared in several dramas, including “Standby” and “Answer Me, 1997”! Heechul, also known as “Mr. Grumpy” among other members of ZE:A, has a self-proclaimed crush on Jessica from SNSD! Cheryl Yang, one of Taiwan's most popular actresses, stars in the Taiwanese drama, "My Queen" as a woman whose always put school and work above relationships until she meets a part time assistant at a magazine office! B-Bomb, one of the vocalists for the ever-energetic boy group Block B, spent time promoting his group’s newest album, “Very Good,” this year! Chaejin Seok of MYNAME is the “maknae” of the group, or the youngest member. This year, he’ll be turning 18, making him one of the youngest stars in the K-pop industry! Main actress in "Trapped" (Venevision) starring as "Diana Soriano". No matter what you’re celebrating at the end of 2013, we at Viki wish everyone a happy and safe holiday season!